Mrs Otley sold posters, greetings cards, mugs, mouse mats and coasters with animals on from her market stall. The animals were all doing things that usually only human beings did. The bespectacled penguin reading Barbados on a Budget on the back seat of the bus was very popular. There was an elephant hoovering, while music – notes floating around its flapping ears – was obviously making it dance. Simon glanced at the bow-tied giraffe in front of the full-length mirror. It was stooping to pluck a bowler hat from a hat stand. Opening his wallet, Simon pulled out a fiver. Mrs. Otley didn’t have change so he was obliged to wave his hand and walk away. A little girl picked up a paparazzi panda mug. She’d obviously made up her mind this was the one she wanted and looked doubtfully at her handful of coins. At the word ‘granddad’, Mrs. Otley felt the familiar tightness in her cheeks and prickle behind the eyes. It had been forty-nine years. The girl flashed Mrs.Otley a smile and handed her two-pounds-fifty. Mrs. Otley closed the stall up and dashed off early. Her nephew was looking after things for a fortnight while she was away. 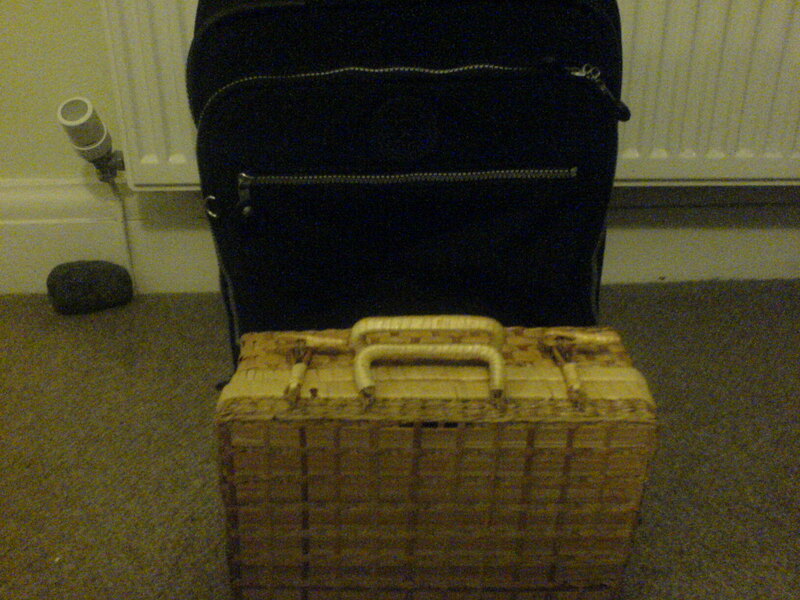 Her suitcase was packed with suitable clothes and the old fashioned picnic set in the wicker basket stood beside it in the hallway. She checked her camera was in her handbag and waited by the door for the taxi. Mrs. Otley relished this moment of calm before the journey. Africa! It was all very exciting. She hoped the hippos would behave themselves. She’d had such trouble with the hyenas last year. She’d been sure they were laughing at her from under their hand-knitted balaclavas.